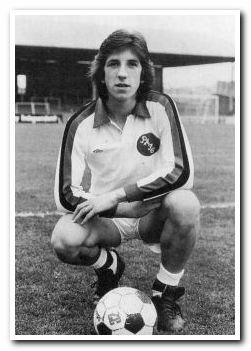 Paul Mariner began his illustrious career in the humble surrounds of Chorley Football Club in his native Lancashire. 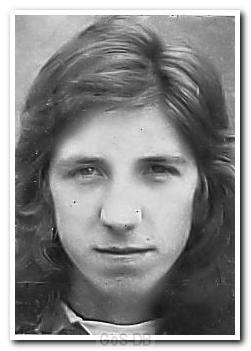 The Argyle scouting system of the day excelled in spotting this raw young talent and Mariner arrived at the club as a fresh faced 19-year-old in 1973, for a fee of £6,000. 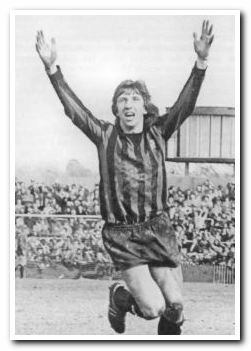 He quickly established himself as the main man in the Argyle attack and his partnership with Billy Rafferty has become legendary, arguably the deciding factor in the Pilgrims earning promotion from Division Three in 1975. He was a big man, but still possessed fantastic ball control and had the rare ability to bring others into the game with ease. 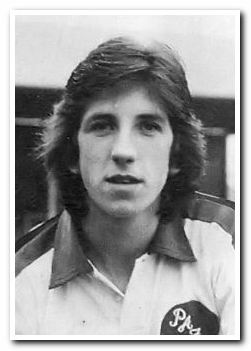 Mariner was clearly destined to play at the highest level, and Argyle reluctantly accepted a bid for his services from Ipswich Town in 1976. The time spent at Portman Road was a golden era for both Mariner and the Suffolk club. Under the guidance of Bobby Robson, Ipswich won the FA Cup in 1980 and the UEFA Cup a year later. Mariner's early performances at Ipswich attracted the attention of England boss Ron Greenwood and he featured as a substitute in the European Championships of 1980. He also appeared in the 1982 World Cup Finals in Spain. The long-haired forward eventually made 35 appearances for England, scoring 14 goals. Domestically, Mariner moved on to Arsenal after scoring 96 goals in 260 appearances for Ipswich, but his time at Highbury was cut short by the arrival of George Graham as manager, and he was given a free transfer in 1986. The next two years were spent with Portsmouth before moving across the pond to play for the Albany Capitals in the American Soccer League. It was here that Mariner began to work as a part-time coach and he continued learning the ropes as player-assistant coach with the San Francisco Bay Blackhawks. He returned to Europe in 1990 and ended his playing career with Maltese club Naxxar Lions. After a spell working in Japan he returned to America, coaching in Arizona and later at Harvard University. In 2004, he joined former Liverpool legend Steve Nicol on the coaching staff of the New England Revolution in the MLS. Mariner was named as Argyle's Head Coach in October 2009, taking over first team affairs from Paul Sturrock two months later. Mariner had his work cut out and sadly was unable to reverse the decline; Argyle were relegated to League One at the end of the 2009-10 season. Following the appointment of Peter Reid as manager in June 2010, Mariner reverted to his former duties but with Argyle still cash-strapped and the threat of being wound up after an HMRC petition, Mariner asked to be released from his contract in December 2010. A month later he returned to North America to join MLS side Toronto FC as Director of Player Development. In July 2012 he took over as Head Coach, but was sacked just six months later. In 2014 Mariner returned to his previous club, New England Revolution, to take up a co-commentating post as part of the broadcast team for Comcast SportsNet’s HD coverage of their games. Everyone that was there remembers that night, a night game in September 1973. 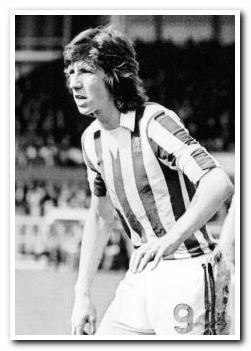 Three players made their debut, Alan Rogers, Brian Johnson and Paul Mariner. I think he hit the post twice that night, and he scored two. When the game finished, I ran home to my parents house in Milehouse and told my Dad (a Birmingham City fan) that I'd seen a future England player that night. He fell off his seat laughing. However, Mariner proved me right and he and Bill Rafferty made our team one of the best I've ever seen play in green shirts. We just knew we would score more than the opposition with those two in our team and who could forget the 5-1 game at Hereford, when Hereford battered us for most of the game and the never-to-be-forgotten 7-3 crushing of AFC Bournemouth at Dean Court. 5-0 at half time, they came back to score three, and then Mariner did his thing and scored again and again. The classiest player I've ever seen in an Argyle shirt. If anyone ever asks who the best Argyle player was, men of a certain age, simply say 'Mariner'.